Canadian Citizenship photos are different then both Canadian Passport and Visa photos. 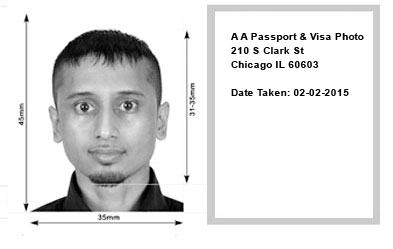 Two (2) identical citizenship photographs (except Renunciation applications, only one (1) photo is required). The frame size must be at least 35 mm x 45 mm (1 3/8" x 1 3/4"). "Crown" means the top of the head or (if obscured by hair or a head covering) where the top of the head or skull would be if it could be seen.